(from AP at CNBC) — The United States has temporarily withdrawn some of its forces from Libya due to “security conditions on the ground,” a top military official said Sunday as a Libyan commander’s forces advanced toward the capital of Tripoli and clashed with rival militias. The self-styled Libyan National Army, led by General Khalifa Hifter, launched a surprise offensive against the capital last week, a move that could potentially drag the country back into civil war. Libya has been gripped by unrest since the 2011 uprising that overthrew and killed longtime dictator Moammar Gadhafi. In recent years, the country has been governed by rival authorities in the east and in Tripoli, in the west, each backed by various armed groups. Gen Khalifa Haftar (left) and rival Prime Minister Fayez al-Serraj. “We have made clear that we oppose the military offensive by Khalifa Haftar’s forces and urge the immediate halt to these military operations against the Libyan capital,” Pompeo said in a statement. Published at CNBC .com on April 8. Reprinted here for educational purposes only. May not be reproduced on other websites without permission from CNBC. 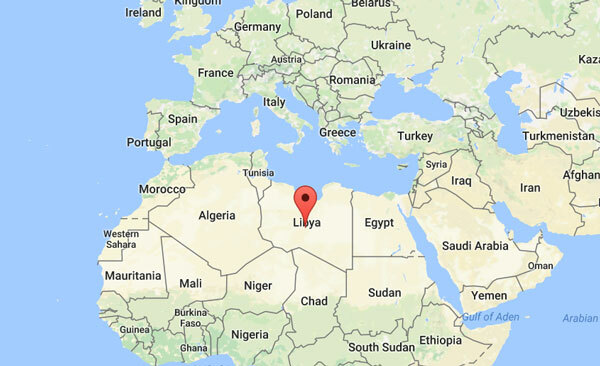 Libya has been a hotbed of unrest since Gaddafi [dictator Muammar Gaddafi] was overthrown eight years ago. The general helped Gaddafi seize power in 1969 before falling out with him and going into exile in the US for 20 years. He returned when the uprising against Gaddafi began and became a rebel commander. 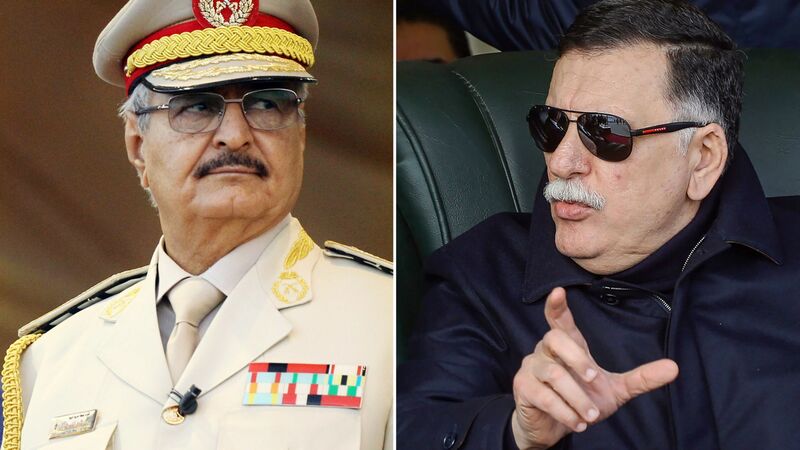 Prime Minister Fayez al-Serraj said he had offered concessions to Gen Haftar to avoid bloodshed, only to be "stabbed in the back." "This unilateral military campaign against Tripoli is endangering civilians and undermining prospects for a better future for all Libyans," US Secretary of State Mike Pompeo said on Sunday.